Few people in the Pentagon or the space industry have heard of Col. Russell Teehan. In July, he was named “portfolio architect” of the Air Force Space and Missile Systems Center, where he leads a staff of roughly 100 military and civilian personnel whose job is to upend how business is done at SMC. At an AFCEA conference last week in Los Angeles, Teehan spoke about changes looming at SMC. An industry executive who attended the event shared a few highlights. 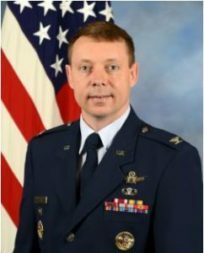 Teehan is attempting what has been described by Air Force leaders as a cultural transformation or ‘rewiring’ of SMC, a subordinate unit of Air Force Space Command. Established in 1954, SMC is the center of technical excellence for developing, acquiring, fielding and sustaining about $6 billion worth of military space systems. 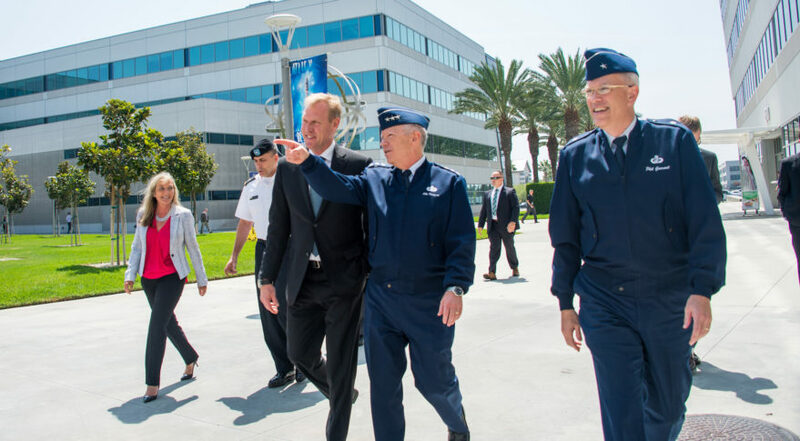 Headquartered at Los Angeles Air Force Base in El Segundo, California, the center employs more than 6,000 military, civilians and contractors. Teehan compared the reorganization to turning vertical silos on their side. SMC is organized into independent “directorates” — each overseeing major programs such as military satellite communications, GPS satellites, remote-sensing satellites, launch vehicles and space superiority. The managers who run each directorate don’t necessarily coordinate with each other, which causes inefficiency and duplication, such as individually developed command-and-control systems that don’t interoperate. SMC is reorganizing the vertical program stovepipes into enterprisewide activities such as development, engineering and manufacturing. The development stovepipe, for example, would work on command-and-control systems that can be shared by GPS, missile-warning and communications satellites. CAN HE WIN OVER SKEPTICS? There is much disbelief about the reorganization of SMC, including doubts about whether the change is real or rhetorical. But the decision to appoint Teehan as the portfolio architect has impressed some people who believe he could make a difference. He is known as an unconventional thinker with a lot of energy and ambition. Teehan was previously the director of the Space Vehicles Directorate at the Air Force Research Laboratory and worked at the Office of the Secretary of Defense as deputy for missile defense, launch and space control. Notably, the program integration branch will have a say in the future budget proposals of all SMC program offices. This could give Teehan the leverage he would need to shape behavior: Program offices will have to play ball or they might not get the money they ask for.